There was no ignoring that curvaceous kidney sofas are on trend in many different iterations. This was one of the key takeaways from the show. Tufting was everywhere in every size, shape, and flavor you can imagine. Channel tufting made the biggest splash, shown both horizontally and vertically. At times, channel tufting was reduced to sleek tuxedo pleating or pin tucking, both of which looked fabulous! 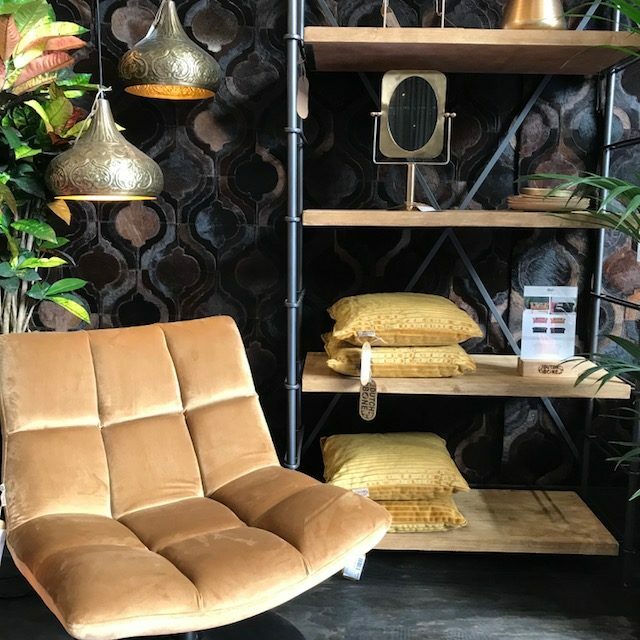 From channel tufting, to button tufting, to diamond and box tufting….hey did you get the memo about tufting? It’s all about tufting! 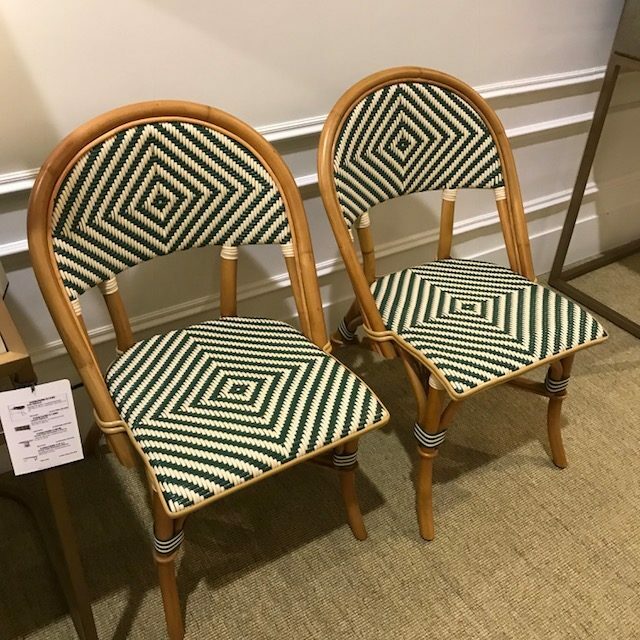 Rattan and caned accents were hot: think French café chairs, caned tub chairs, and caned folding screens. The vast majority was gorgeous and crisp looking. Metal is no longer just for coffee, end, and accent tables. 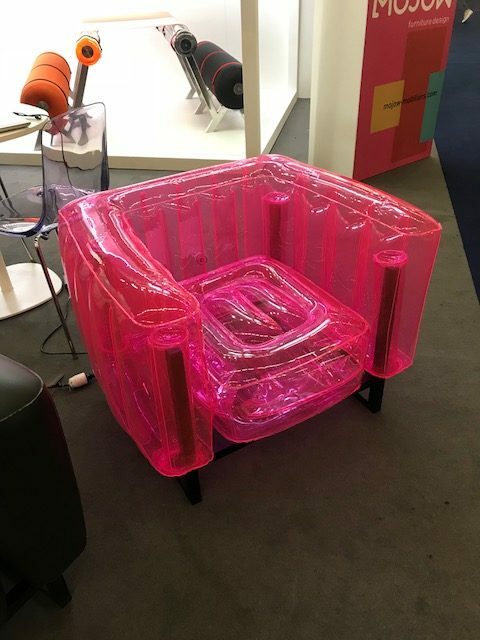 Maison and Objet 2018 was brimming with metal accented upholstery: exposed metal frames and front rails were seen holding and outlining beefy square upholstered pieces in a way that looked decidedly and wonderfully modern. 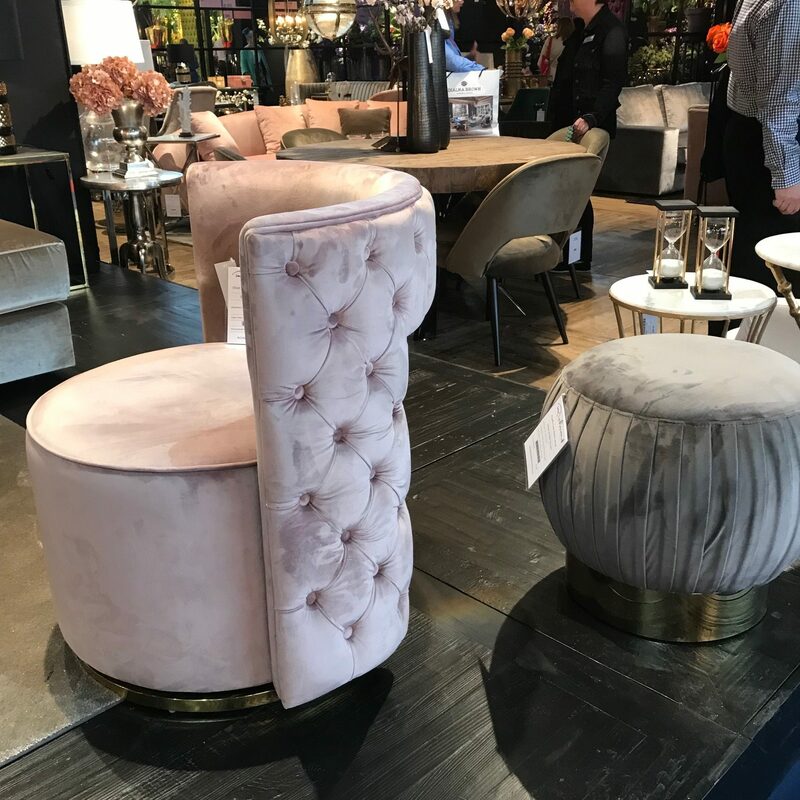 It’s no surprise considering the influx of kidney shapes that rounded upholstered arms, shoulders, and seats have begun to pop up as well. In addition, there was a strong showing of overall rounded silhouettes like barrel and tub chairs. When upholstery was not rounded it often went in the complete opposite direction, leaning into chunky square shapes. These almost always partnered beautifully with the rounded upholstery being shown. Timeless silhouettes like Chesterfields were seen in their classic bomber jacket leather as well as fresher color palettes. 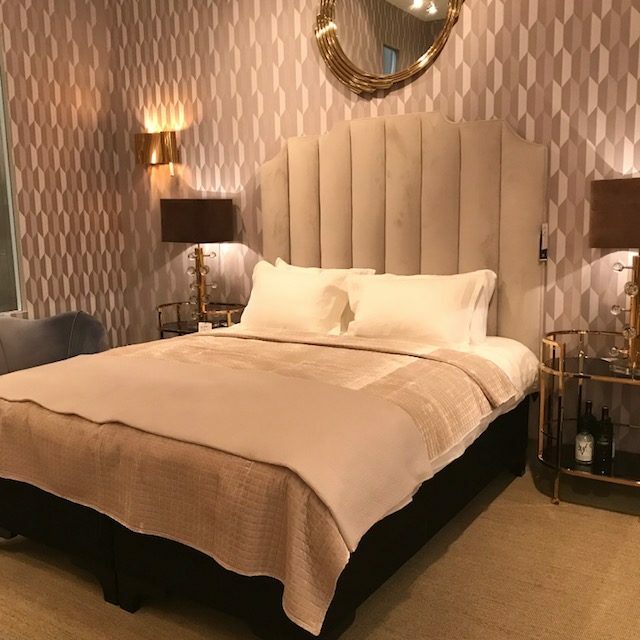 Tufting appeared in a number of interesting applications at Maison & Objet 2018. 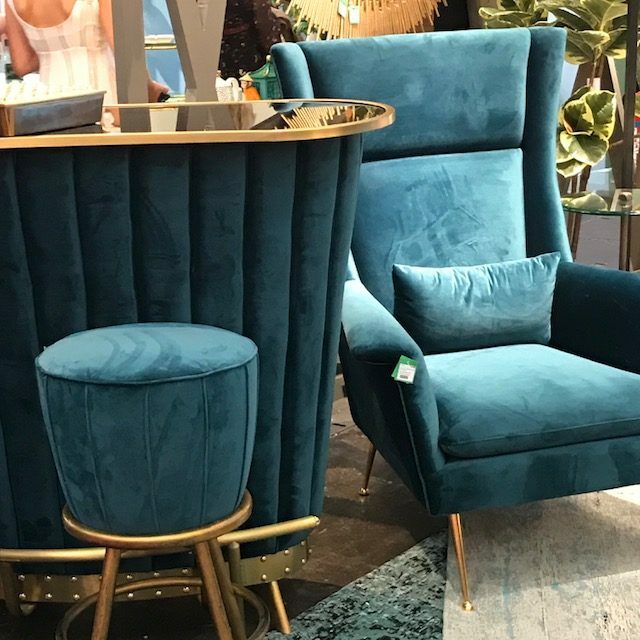 Tufting, along with curved upholstery silhouettes are both major trends we see continuing throughout 2019. 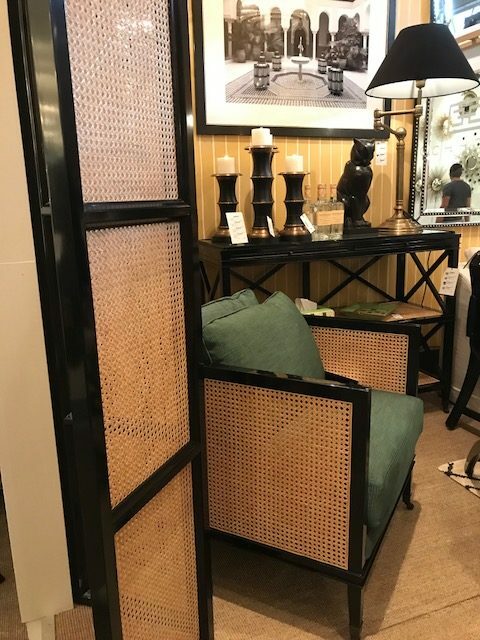 Rattan and caning also made impressions, especially when paired with unexpected accents such as black lacquer. Innovative metal detailing is another trend we expect to see grow and become more important over the next year.